Review the SageTV System Requirements. You’ll find all officially supported tuners, minimum hardware requirements (exceed these if possible), and other required components. 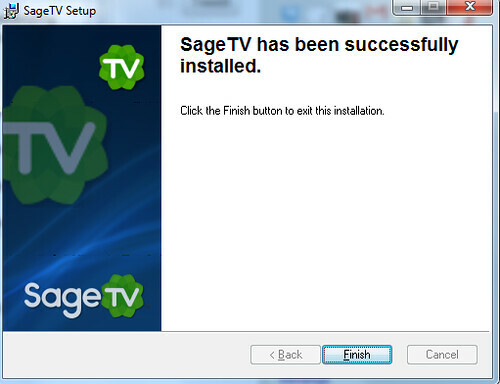 When you download and install SageTV, you’ll be getting a copy of the latest version of the SageTV user manual available from your start menu. 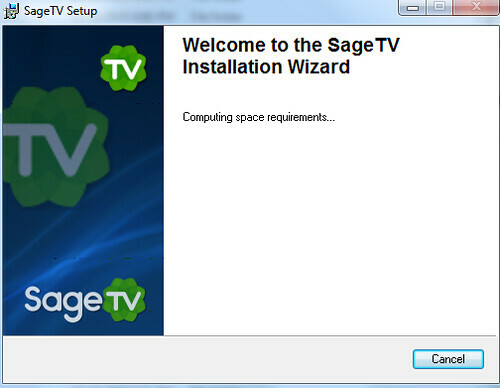 But you can also access the latest SageTV user manual here at any time. 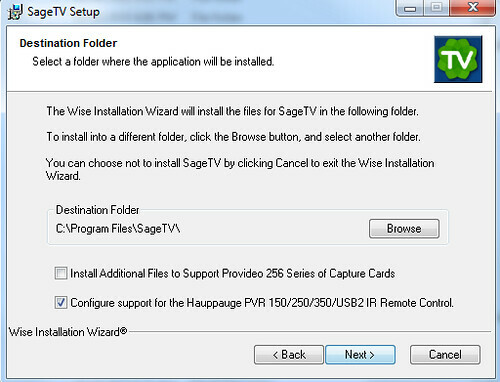 It’s best to set up the service with a windows user account with administrator rights so SageTV can access your network drives. Click on “Enable” to enable Service Mode. Then select “Change User” to configure the service with an account that has network privileges. My HTPC server only has a single user – the administrator called “MediaServer”. Once you have the user and password input, check the “Enable Service Recovery” box and then click on the “Start” button to begin the service. 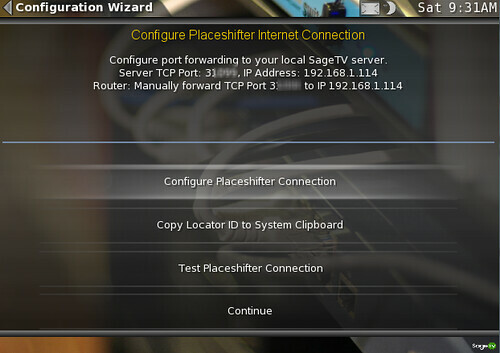 This service will run automatically whenever your HTPC servers starts up going forward. 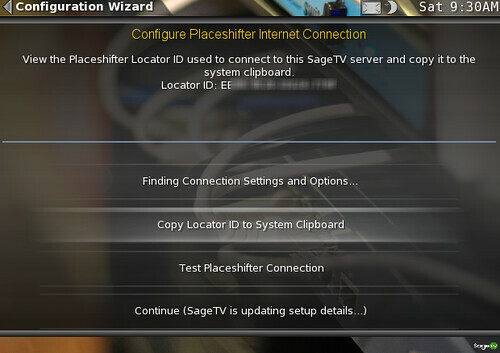 Go ahead and set up your placeshifter username & password in case you’ll use Placeshifter (a program you can install on a laptop or other computer you’ll use outside your home to access your SageTV UI and content – kind of like Slingbox! Note: You can change these and nearly all other settings later if you change your mind. 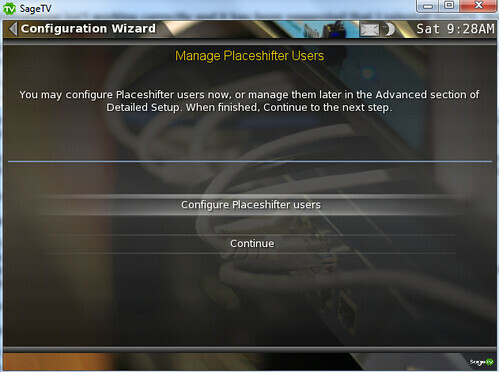 If you’re setting up the Placeshifter connection, you’ll want to note the “locator ID” and configure the placeshifter connection (Port used etc). Next you can choose whether to load SageTV at windows startup (I recommend you do this so your recordings happen when the computer is on). 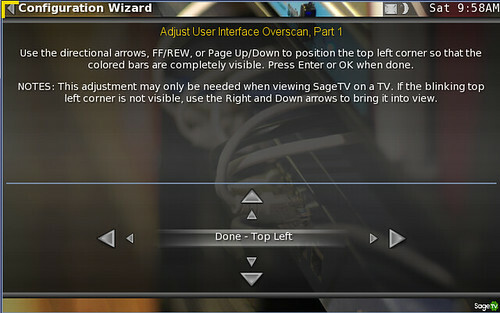 Choose between full-screen mode or have SageTV load to the system tray. 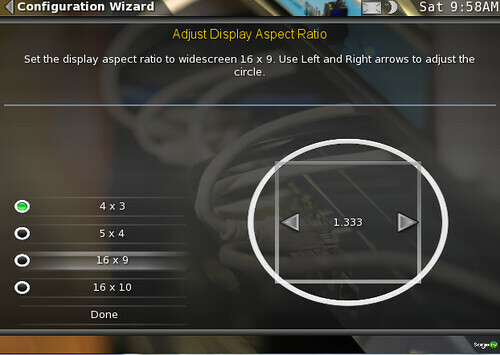 Adjust overscan by pointing the top left and bottom right corner indicators to the proper place on your TV. 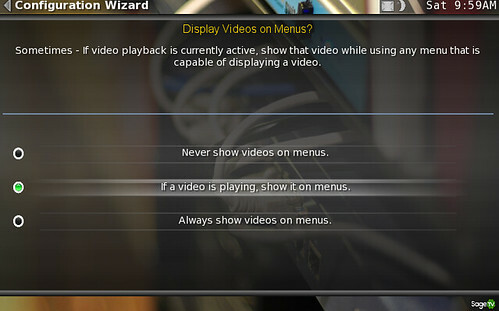 Choose whether you want to show video on the menuse or not. 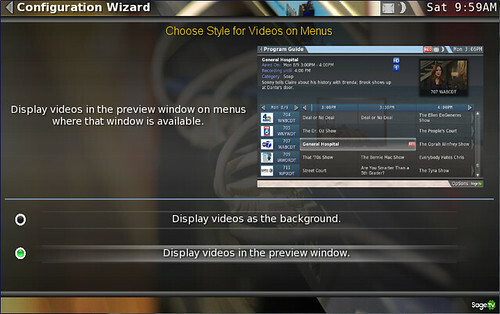 and whether you want it to display in the background or in a preview window. This really only matters when you leave a show playing but exit out to the menus without stopping playback. Select your remote control from the list of devices. 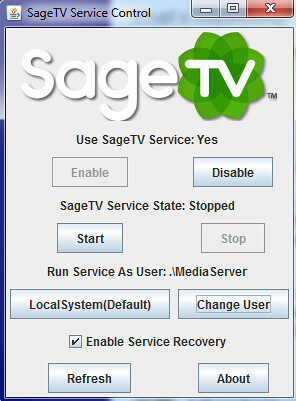 If it’s an IR (Infrared) remote and isn’t listed you can still configure it to work with SageTV. USBUIRT is an option of course. If you’re a TiVo kind of guy and want your HTPC to learn what you like and start recording based on that you might be interested in “Intelligent Recording.” I personally don’t like my HTPC recording anything I don’t tell it to, so I always set this to no. 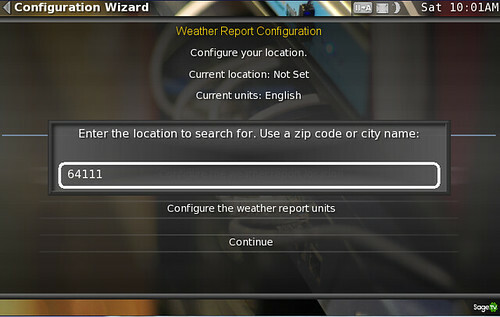 Configure your weather location & currency units for the weather page. Enable (or not) parental controls to restrict access to your TV. 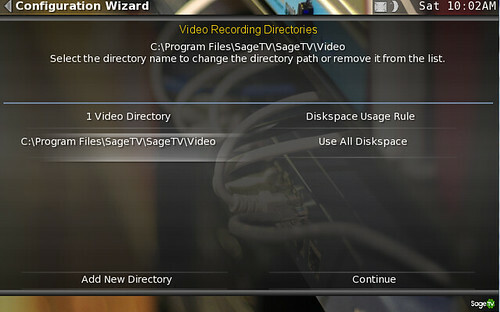 Choose your video recording directories. This is an important one. I recommend you have on (or two) hard drives specifically for TV recordings and nothing else. Not a requirement, but it makes disk access more efficient in my opinion. 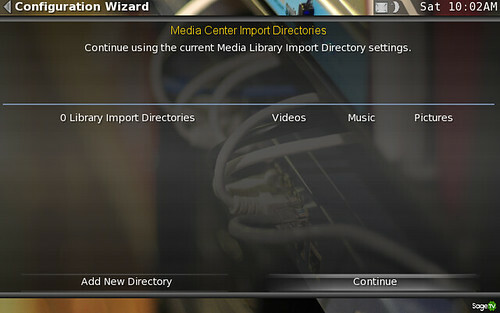 You can choose multiple directories and disks including network drives or other computers connected to the network. Just keep in mind the speed of the connection given the read/write requirements of your HTPC. 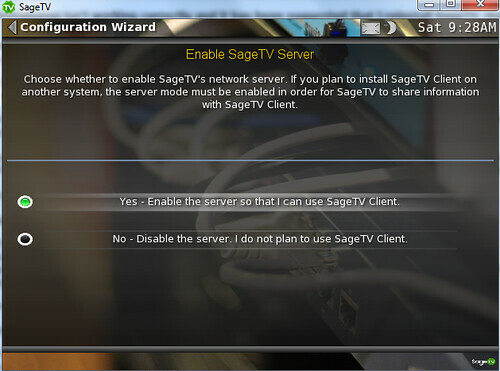 That’s it for part 1 of this SageTV 7 Getting Started Guide. 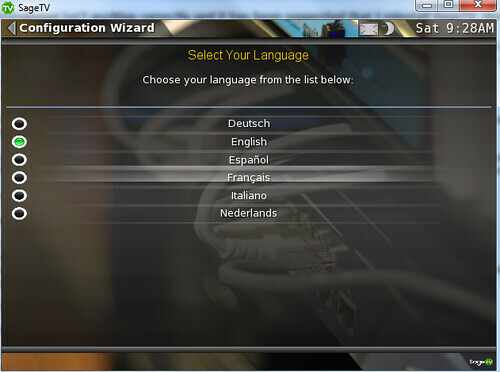 In part 2 we’ll begin adding the TV tuners and configuring more of the settings. It won’t be long and we’ll get into the fun stuff. After that you’ll get a full review of SageTV 7 including what’s new, what's good and what still needs work.